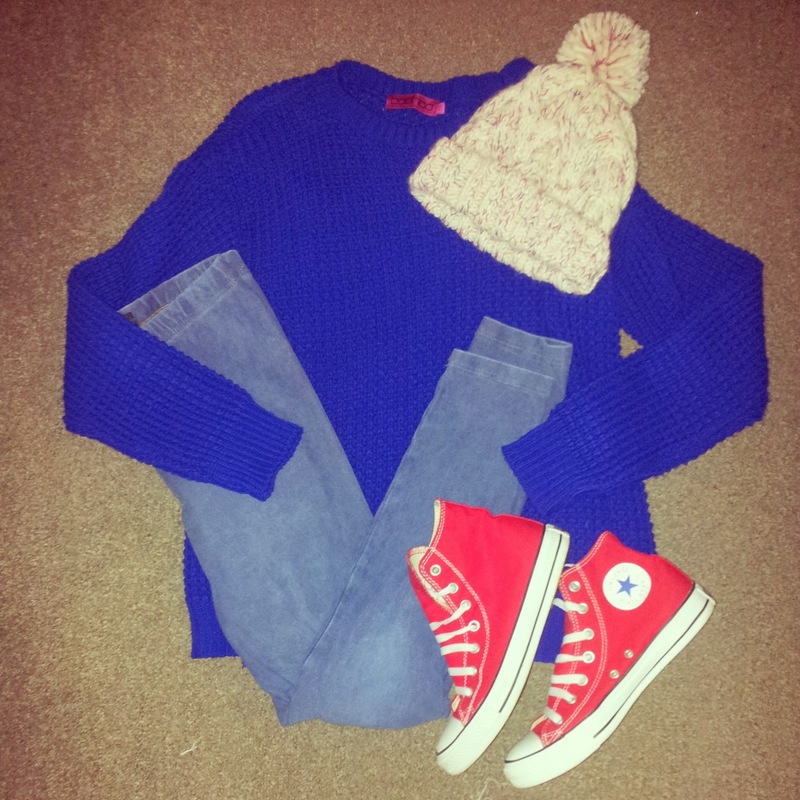 One thing I have now taken to doing over on Instagram is unleashing my creative flair and playing 'Art Attack' with my clothes before I put them on. The reason for this is simply because the bigger I am getting, the harder I find it to feel 'inspired' about what to wear. No matter what, sometimes you can't help but feel fat and frumpy in an outfit despite how nice it is. I never normally plan what to wear, I usually just throw myself into my wardrobe, have a bit of a tussle and wear whatever I jump out in but because I am limited to what I can wear in my wardrobe AND want to feel trendy and comfortable I have taken to forward planning. 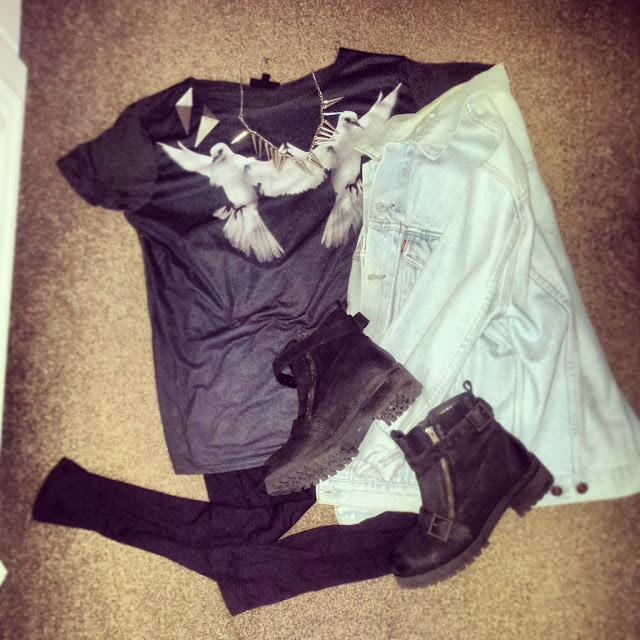 Hence the outfit creations on my bedroom floor. After a few days of doing this I decided I would share them with my Instagram followers for feedback, all of which has been positive so far! I am quite enjoying getting creative with my clothes and sharing my daily decisions with the interweb, it is nice to receive 'likes' and comments on them too as it reassures me I have made a good choice. I will definitely be keeping it up! I'm not pregnant, so cannot say anything on that side of things, but as for the clothes, LOVE them for maternity wear! 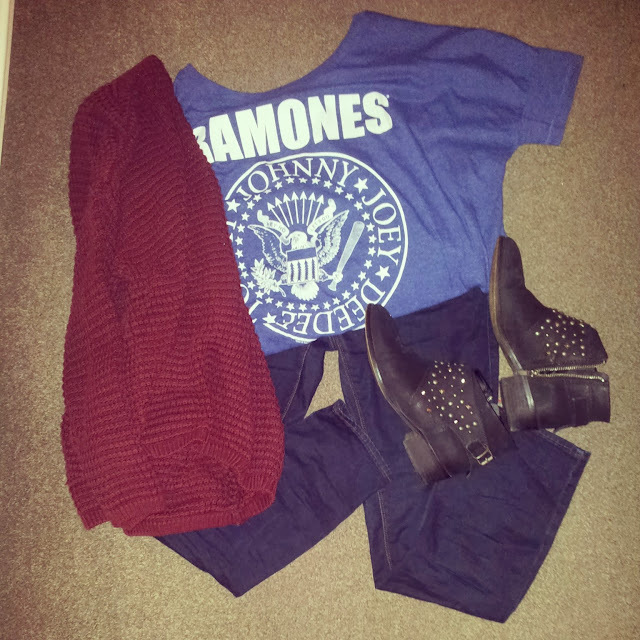 Outfit two with the Ramones tee is my fave!